I have been following the author of this book, Sarah Wearne, for a while on Twitter. She posts interesting and unusual inscriptions from British and Commonwealth wargraves of the Great War. This book is essentially a printed version of this but with a lot more information than it is possible to post on Twitter. 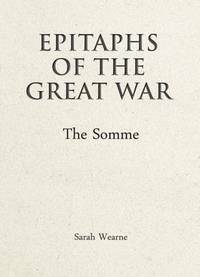 The author has selected a large number of inscriptions that not only give insights into grief and commemoration, but also into the myriad faces and aspects of the Battle of the Somme. In that respect the book makes a good battlefield companion, to carry when on the ground and follow some of those mention in it. It really is an excellent little book which was fascinating to read and the author has put a lot of work into selecting some meaningful inscriptions that help bring alive events a century ago. Recommended. The book can be purchased via the Publisher’s Website. The Battle of the Somme and visiting the Somme battlefields continues to fascinate us and for Somme100 Pen & Sword books have published a number of new battlefield guidebooks, or reprints of classic editions. Cooksey and Murland have produced a whole series of excellent battlefield guide books covering some lesser known locations but here they focus on the Blackest Day of the British Army – 1st July 1916, the First Day of the Battle of the Somme. The book looks in detail at the whole battlefield from Gommecourt to Maricourt, and the authors provide battlefield trails that can be followed in a car, on foot or by bike. The directions and maps are good, the text very well researched and backed up with excellent modern photos and some useful contemporary ones. 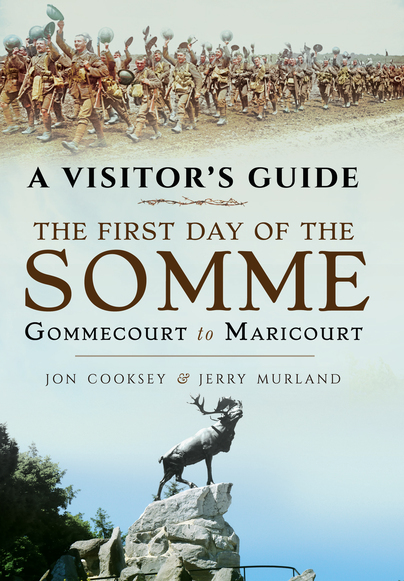 This is a really superb Somme guidebook which should be in the knapsack of everyone going to Somme100 and who wants to explore the 1st July battlefields in depth. The Holts have been publishing battlefield guidebooks for decades and this Somme100 edition of their popular Somme guide comes in a limited edition hardback format. The guidebook has been greatly explained with new photos, and extra information and locations, and also some battlefield walks, which is a good addition. This is a really high quality book with excellent images, and nicely presented, and the supporting map makes it the complete package for the first time visitor to the Somme battlefields. It is good to see the Holts being recognised for their work and this new edition is a welcome guidebook for all those going to Picardy this year. 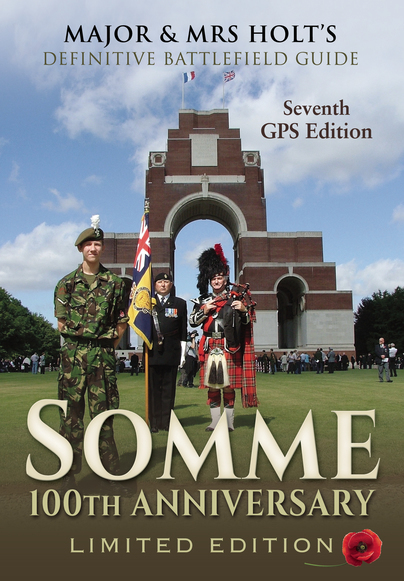 This classic Somme guidebook first came out in the 1990s. 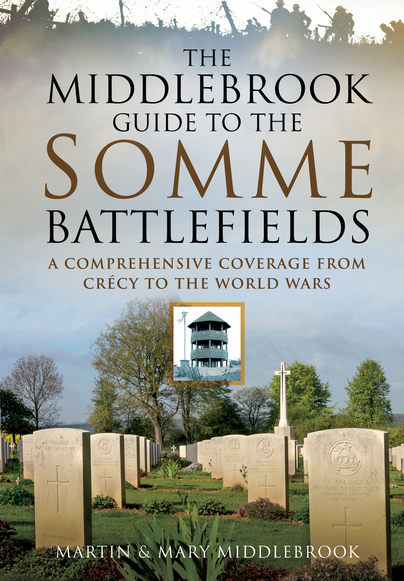 Martin Middlebrook was renowed for his book on the First Day of the Somme and he uses that knowledge, and knowledge of the ground here to produce a fantastically detailed book. This book has depth which many guidebooks do not, and the supporting text and maps are excellent. This edition includes a few updates but its only criticism is that some of the information is out of date now. But this is a guidebook worth owning. The Somme centenary is resulting in a profusion of books about the Battle of the Somme. 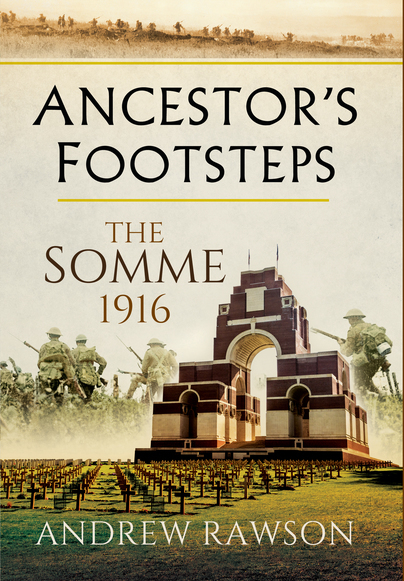 These are the latest Somme offerings from Pen & Sword books. This amazing book is an incredible resource of all the War Diaries of every single unit that went into action on 1st July 1916: the First Day of the Battle of the Somme. The book examines the battlefield from Gommecourt in the North to Montauban in the South, so covering the whole Somme front. For each unit there are some notes and then an exact reproduction of the diary. Many units lost so many officers and men that in some cases the information is sparse but others have long and fascinating accounts. Maps in the book help to make sense of where units were, and there are some good illustrations. An absolutely invaluable resource for family historians and battlefield visitors who want to have the detail of events a century ago in one handy volume. Highly recommended. At first sight most people would wonder what this book is as it appears to be a list of divisions with maps. But actually it is one of the most useful Great War books I have come across in some time. Using the book you can look up the details of a unit, perhaps your grandfather’s battalion, and it then takes you to the relevant pages where you can see with text and via maps where they fought. This means you can quickly and simply put together a framework of where a man was on the Somme, which normally would take some time. Superb companion for those visiting the battlefields for Somme100 and those wanting to research where their ancestor fought. Highly recommended! This is a reprint of an older book Peter Liddle did in the 1980s. Liddle was then working on forming an archive of WW1 material which is today with the University of Leeds. 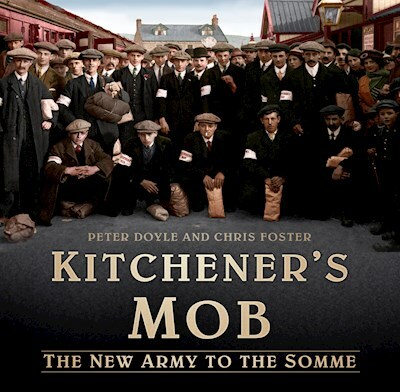 The book gives a good overview of the battle and includes material which was part of the archives, so many rare and previously unseen accounts and photographs. 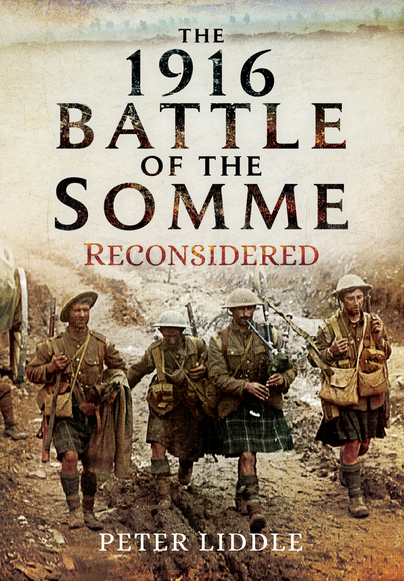 The ‘reconsidered’ part of the book is as Liddle examines the battle and considers it a victory, which in the 1980s was not a popular view – although he concedes it was certainly a costly victory. A good book and it is good to see it back in print. This new book by Alexandra Churchill and Andrew Holmes is one of many new titles that have appeared in the lead up to Somme100. Many of these books tell us little new, but here we have a fabulous book with some stunning photographs of the battlefield today, which does genuinely shed some new light on the battle through the stories of so many who fell there in 1916. 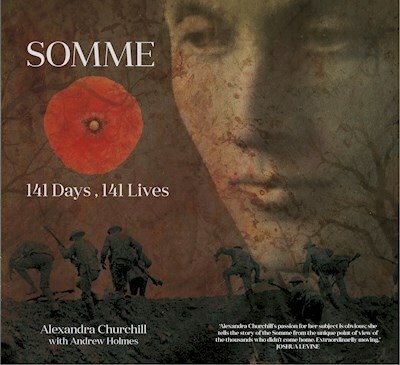 The book looks at 141 soldiers who died on the Somme and follows a chronological approach so you can trace the course of the battle, and the history of the Somme campaign, through the lives and deaths of these men. It makes fascinating reading and there are some great stories, from poets to Pals to fathers and sons, and men from many nations, not just Britain and the Commonwealth. This is a hugely engaging book, well written and researched, and the stunning photos of the battlefields as they are today by Andrew Holmes make it a beautiful book to own, too. Highly recommended. The book is available from the History Press website. As Somme100 approaches a number of books about the Battle of the Somme have started to appear. 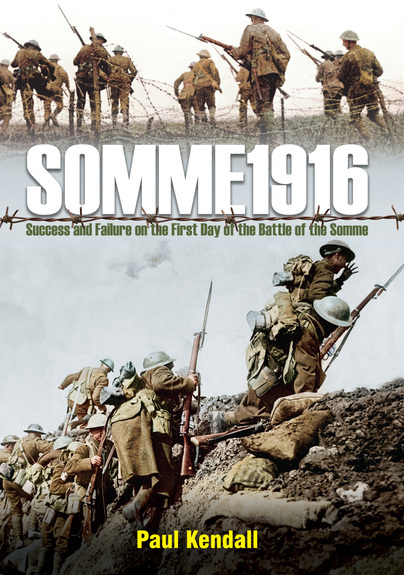 Many of these offer little new or enlightening but Paul Kendall’s new Somme 1916 (Frontline Books 2016, ISBN 978 1 84832 905 8, 442pp, maps/illustrations, hardback, £30.00) is a really excellent addition to our knowledge about the First Day of the Battle of the Somme, and indeed the Great War. 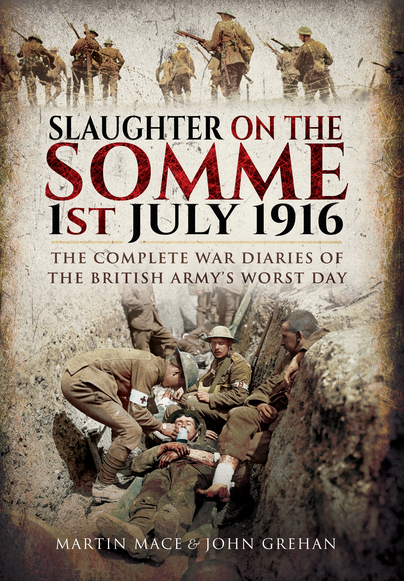 The book looks at the entire Somme front on 1st July 1916, the day the battle began, and what became the Blackest Day in British Military History with more than 57,000 casualties. It begins with the background to the Somme offensive and then looks at the different sectors from North to South, starting at Gommecourt and ending with Montauban. Each chapter describes the fighting in that area in detail, and it is clear the author’s research (as with his previous books) is really first rate as he has used a wide range of sources from War Diaries to German accounts. The area I know particularly well is Beaumont-Hamel; the chapter on that sector is one of the best I have read in a very long time. With good maps and some supporting images this is a superb book and essential for anyone studying the First Day of the Somme in this centenary year.